A career as a houseparent at Milton Hershey School is a unique opportunity to change the lives of young people by helping them realize their full potential. 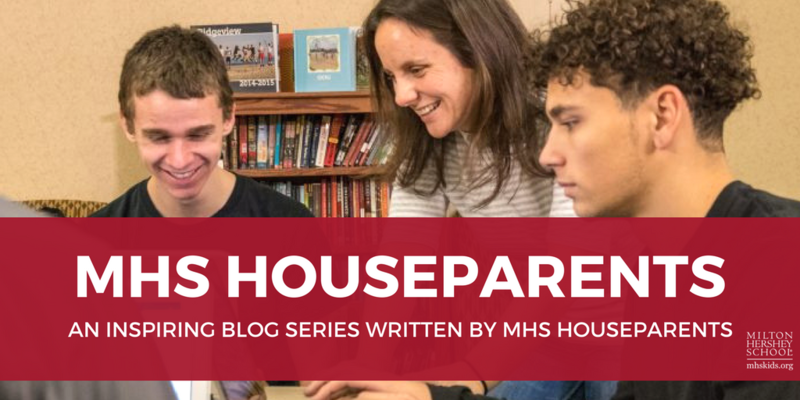 If you and your spouse have been thinking about applying to become houseparents or if you are just hearing about the opportunity for the first time, sign up to join the MHS Houseparent Talent Network. By joining the Houseparent Talent Network, you’ll learn more about life as a houseparent and whether it’s a good fit for you and your spouse. You’ll also receive additional information about Milton Hershey School and hear from current houseparents. You will receive updates about job opportunities and school news. You also will have the opportunity to share more about your professional and volunteer experience working with children. Houseparents at Milton Hershey School significantly impact the lives of our students. Read blogs written by our houseparents and hear directly from the caring couples who continue to support and nurture our students. Click on the image below.